How much do you know about Anthuriums? Well, let us fill you in! 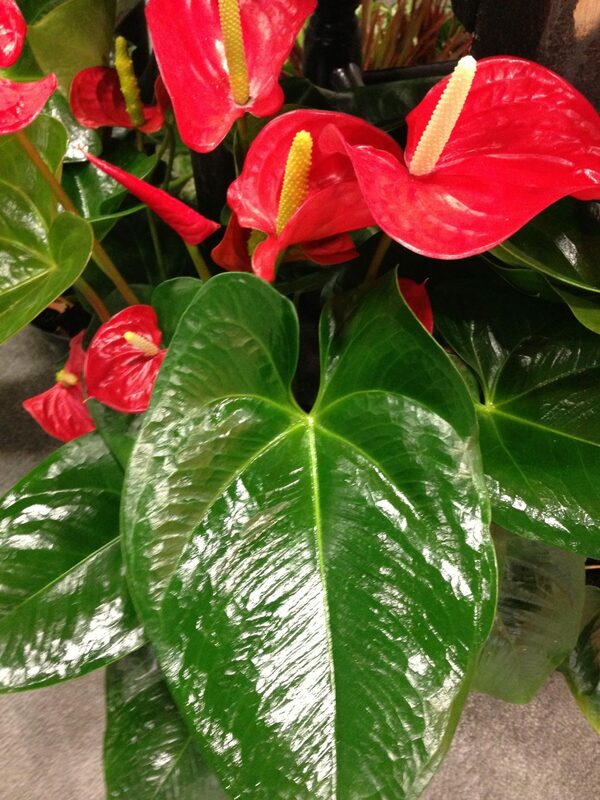 Common names for the Anthurium are Flamingo flower, Tail Flower, Oilcloth Flower, and Painters palette. 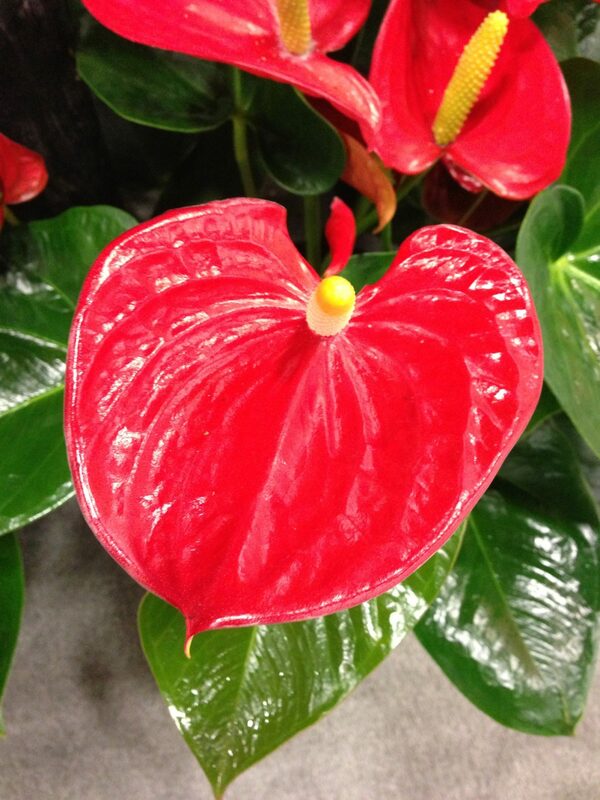 Anthurium leaves are actually waxy bracts called ‘spaths’ and are heart shaped. While most known for being red, Anthuriums come in burgundy, pink, hot pink, dark pink, red-orange, orange, salmon, yellow, green, purple, cream, white, brown, and multi-colored! These tropical flowers can last in your home from 8 to 21 days. Surprisingly, the longer the stem the longer the stem life. Anthuriums really are a taste of the tropics – they are only native to tropical rain forests of Central and South America. 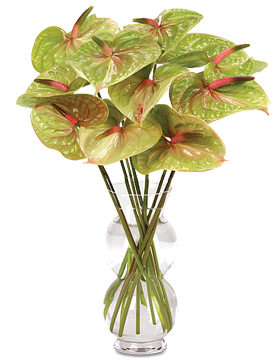 So, as the weather starts to cool down – bring a real piece of the tropics into your home with an Anthurium bouquet! You’ll be able to tell all of your guests who comment how beautiful they are all of the fun facts you learned here!